Thus far An Gúm have published 3 textbooks in the Téacs & Trialacha: Tionscadal Mata series. 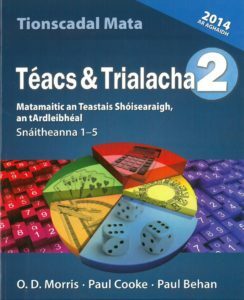 Téacs & Trialacha 1, Téacs & Trialacha 2 (Ardleibhéal) agus Téacs & Trialacha 3 (Gnáthleibhéal). 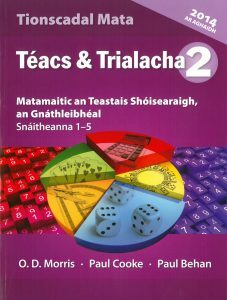 Irish language version of Texts & Test 1 (Celtic Press) containing the common introductory course for first year maths. It covers the complete Common Introductory Course for first-year mathematics. It provides a comprehensive and solid basis for the further study of maths at second level. It contains a broad range of innovative and searching questions. Students are introduced to new topics in a way that is appropriate to mixed ability first-year classes. This avoids the difficulties in taking any topic all the way to Junior Certificate examination standard in first year. 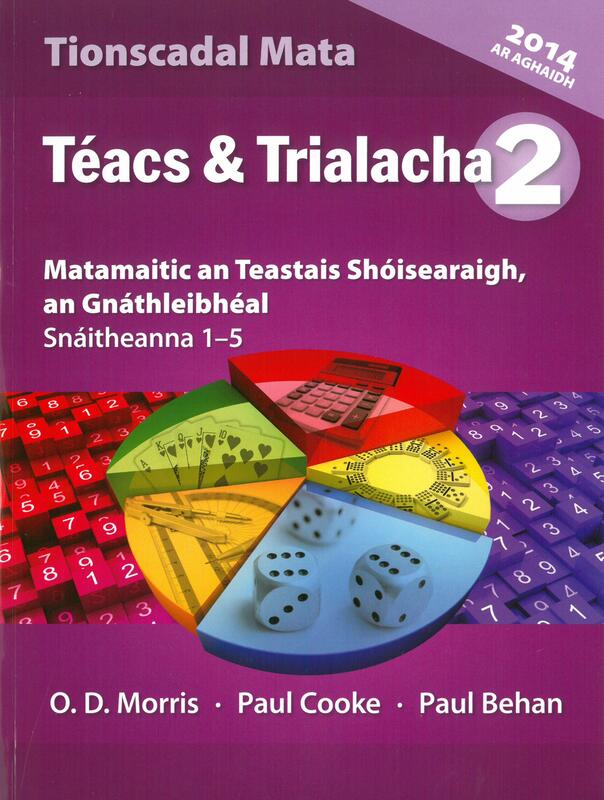 This new textbook in the Project Maths series has been compiled and written to provide complete coverage of the Junior Certificate Higher Level programme from 2014 onwards. 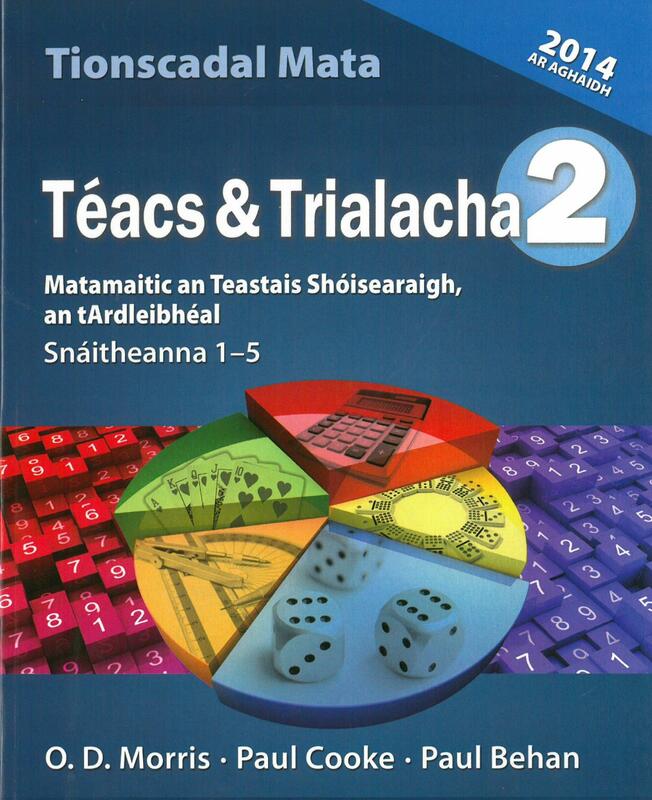 Text & Tests 2 – Project Maths Junior Certificate Ordinary Level Strands 1-5, has been compiled and written as two-year course in mathematics for students starting second-year in second-level schools. 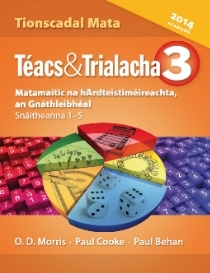 It contains all five strands of the Project Maths Syllabus for Junior Cycle. An excellent range of carefully-constructed and imaginatively-written questions taking the students up to examination standard. An accessible, student-friendly approach ideal for encouraging students and giving them confidence. Contextualised questions to show students how maths relates to the real world. A style of question designed to develop problem-solving skills. An excellent range of carefully-constructed and imaginatively-written questions taking the students from the basics up to examination standard.